A few years ago, Mike Hansen, Mike Perdue and Mark Bolton rode their bicycles from the Denver Temple to the Salt Lake Temple. 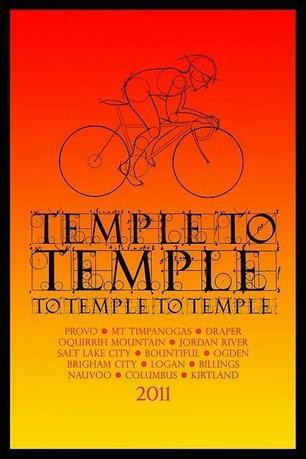 They called this the Temple to Temple Bike Ride. July 15: Started at the Provo Utah Temple, rode the tandem north, stopped at the Mount Timpanogos, Draper, Oquirrh Mountain and Jordan River temples and finished at the Salt Lake Temple that afternoon.